YUM! 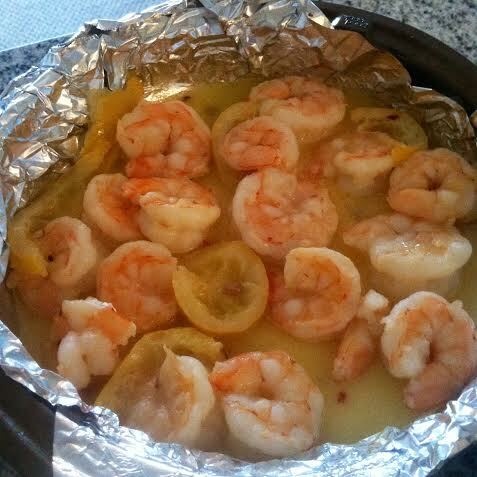 Love shrimp…and red pepper flakes! I ate some GF pasta last night with chicken sausage and tons of red pepper and my mouth felt like it was on fire. haha it was awesome. Agreed! I put red pepper flakes in everything! They bring the perfect heat to any food. 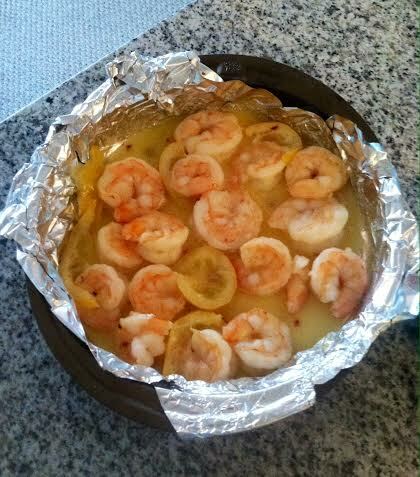 This shrimp would be so good over pasta now that I think about it! Fish + lemon you cannot go wrong. I will have to whip this up sometime soon; looks delicious!! Woah. That looks perfect! I am a huge shrimp fan. It’s pretty much my favorite seafood. I usually make it with cilantro and lime, but this looks equally tasty! Oooo that sounds great too! Do you have the recipe on your blog? If not, do you grill them, sautee them or bake them? No. But I should. Grilled would be delicious but I usually just sautée those babies right up. It’s such a good flavor combo! YUM! And now that I know it’s national shrimp day, even more of a reason to have some today! Have a good weekend! Shrimp is my jam, preferably with pesto 🙂 This looks awesome too! You guys are killing it with shrimp ideas! Pesto would be amazing! Wow this looks so good! Happy national shrimp day! Thanks! It was the perfect way to celebrate! Sounds perfect! I bet these would be great grilled too 🙂 that’s even more summery! 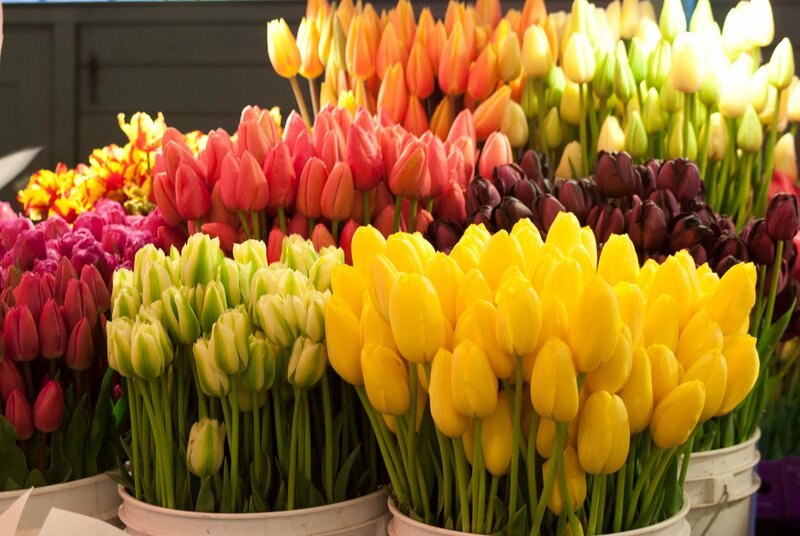 Wow, beautiful tulips!!! What a fabulous idea for Mother’s Day!! Have a wonderful weekend and a FAB Friday!!! XOXO!! Tulips have been synonymous to mother’s day for me since I was little and picked them out of my front yard for my mom every year. They’re my favorite! Oh my gosh, is that cute or what?! YES!!! Soooo sweet!! XOXO!! Have a great one!! Enough garlic can make anything taste indulgent! 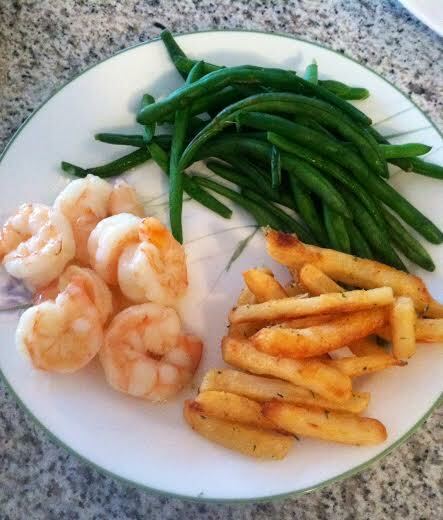 yes to shrimp! although i think i prefer it in cocktail form, jumbo and delicious. Interesting because I’m not a huge shrimp cocktail fan! Cold shrimp hasn’t ever appealed to me. But I do hear so much about things like ceviche which have cold shrimp so I should really try it! Don’t you love nights when you have the time to mull over so many options? So many possibilities! LOVE shrimp and always thinking up new ways to use it- trying to work on a pesto recipe involving it right now iahhh cravings! I’ll keep my eye out for that because you’re the second person to suggest shrimp and pesto and I can only imagine how delicious that would be!